Poster designed to enter a contest, hosted by Un Mundo Sin Mordaza, where you had to express what freedom meant in Venezuela. 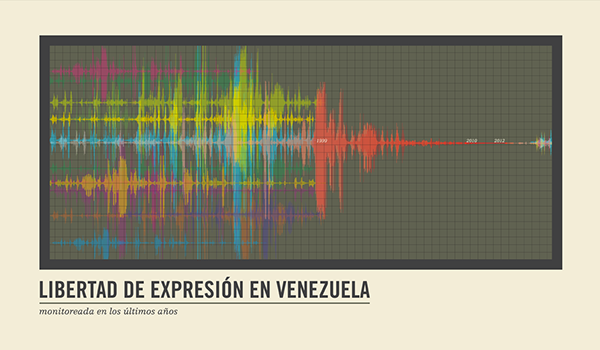 The poster reads: "Freedom of Expression in Venezuela, monitored in the last years." Since Chavez won the presidency in 1998, freedom of expression has been reduced to what he approves. The poster won 2nd place in said competition.